As the solar industry continues to grow, we have found that often what becomes difficult for homeowners is narrowing down options—of companies that is. How can you really compare solar companies? There are the obvious answers—pricing and popularity, but are those really the best ones? When making a long-term investment like solar, you need to look at all aspects of a company, the big things like cost but also the little things that are often overlooked like production guarantees and contracting experience. We look at Photovoltaics, Batteries, and Energy Management as home improvement which differentiates Hot Purple Energy from other companies including competing solar installers like Renova Energy and SunRun. LICENSE. First, visit the California State License Website to confirm the person involved in the daily operations running the company has learned the trade, taken the test, and earned the license. 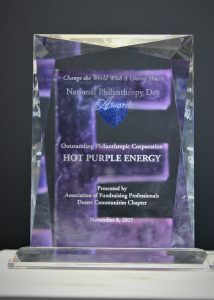 When you search Hot Purple Energy, you’ll see the responsible managing officer on record with the state is HPE’s founder, Nate Otto. He is still involved on some level whether the system is big or small which is why every potential client will receive Nate’s direct cell number. EXPERIENCE. You want to make sure the company you’re hiring isn’t just going to place panels on your roof where there’s space. There are several things to consider including roof type, the orientation of your home, shade, and curb appeal to name a few. Not only does the HPE Founder have 25+ years of contracting experience but our Core Team, all of whom have been working together for 5+ years all have decades of experience which guarantee a successful effort on each of their ends for a cumulative success. Hot Purple Energy is the only SunPower Elite Dealer in the Coachella Valley that has the Residential Intelegant Award from SunPower—an award based on Best Design and Best Install selected out of thousands of systems. LOCAL. Hot Purple Energy is local. We consider our clients our neighbors. We are not a huge corporation who happens to “service” the area. We are not a 1-800 number. 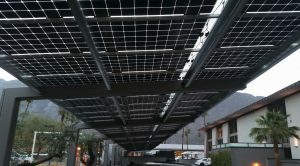 We are locally-based with roots in the Coachella Valley. Every one of our employees lives here and is vested in our community not to mention Nate’s family who has been in the area for a century. COMMUNITY. From day one, Hot Purple Energy’s mission has been to help our neighbors lead more sustainable lives. Our integrity and values continue to stand today and we as a company are thankful to be able to give back to our community and local charities. In this regard, we were honored to receive the 2017 Outstanding Philanthropic Corporation on National Philanthropy Day presented by the AFP (Association of Fundraising Professionals). REFERRALS. At Hot Purple Energy, we take referrals seriously. We live for them; they were our goal at inception in 2009. Not only because we receive new business, but because it reminds us that our clients are happy and that they trust us enough to recommend their friends and family. We can say this without guessing because we do not pay for referrals. How can you trust a paid referral or review? You can’t. We completely trust our process, our product, and our team. It is our installation, service, quality, and value that has led to our customer loyalty and referrals. These are only a few of the things that differentiate us -Hot Purple Energy- from other solar companies and make us the best value. We want to remind you to do your research, ask questions, and don’t let yourself get sold by a salesman showering you with gifts. If you have questions or are interested in more information call us at (760) 322-4433 or email us: solar@hotpurpleenergy.com.